A. L. 822-1 was discovered in 2000 at Hadar, Ethipia. It is attributed to Australopithecus afarensis and is, at the time of discovery, the only complete skull of a female A. afarensis. The skull dates to approximately 3.1 MYA and is one of three that preserves both a cranium and a mandible (the others being A.L. 444-2 and A.L. 417-1). 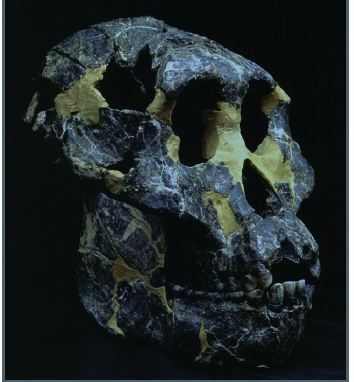 Kimbel (2009) Australopithecus afarensis and the Mosaic Evolution of the Hominin Cranial Base. Note: This is an audio presentation given at a seminar hosted by the Royal Society in 2009.